At Essentials Spa & Salon Metro West, we believe that everyone is worthy of proper skin care. That’s why we provide the best facial in Orlando, utilizing our luxury spa expertise and deep skin care knowledge to leave you glowing for days to come. Our phenomenal spa services are personally executed by our world-class staff of highly skilled aestheticians and massage therapists, giving the Orlando area the absolute best in spa and salon services – no exceptions! Not only are we the best luxury spa in Orlando, but we offer our services at a surprisingly affordable price that our competitors can’t compete with. Though you might treat your skin with the utmost care at home, sometimes regular washing and moisturizing aren’t enough to maintain clean and pure skin. Even if you don’t suffer from severe acne or other chronic skin conditions, your complexion will still benefit from the attention of one of our professional aestheticians. Getting one of our facial treatments is crucial to understanding how your skin works and how it reacts to stress, hormones, and other environmental factors. Think about it this way: Your skin health is akin to your dental health. Ideally, you brush your teeth and floss twice a day, but you still need to visit the dentist a few times a year to maintain optimal oral health. 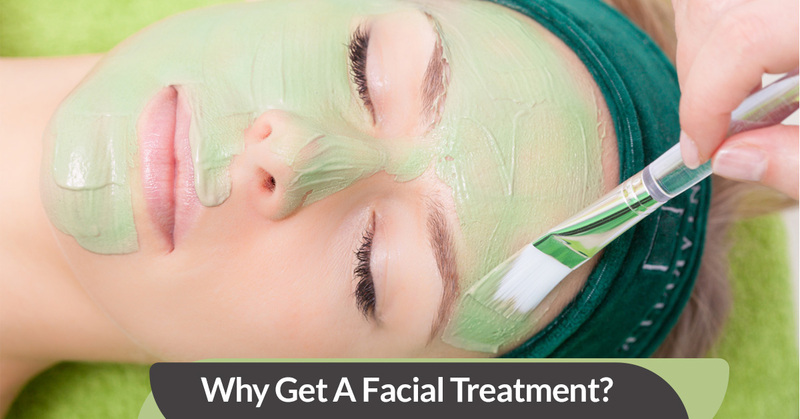 Therefore, getting a facial treatment will fully cleanse your skin in a way that you can’t at home. Generally, a gentle steam is used to open up the pores and allow them to breathe. Essentials Spa & Salon Metro West only uses the purest and most gentle ingredients in our variety of facial services, leaving you looking radiant and feeling clean. If anything is wrong with your skin, you’ll definitely find out why. Like the human body, your skin changes over time and is influenced by factors such as age, weather elements, and hormones. Despite your personal skin knowledge, it’s reassuring to have one of our trained professionals help you identify any adverse skin conditions, address certain changes your skin is going through, and explain how to adapt to them in a healthy manner. Failure to seriously treat your skin can and will result in long-term damage, so be mindful! It’s difficult to recommend skin care products to anyone when they’re underneath harsh florescent lights at a beauty care store. When you’re in the right setting, one of our amazing aestheticians will be able to assess your skin condition under optimal lighting and other ideal conditions. This ensures that you’re getting the right advice and beauty product recommendations that you deserve because you’re dealing with someone who is professionally trained to properly and thoroughly examine your skin. After all, the best way to get to know your skin is by examining it, cleansing it, treating it, and then assessing it from there. A good aesthetician will strongly recommend that you return regularly for facials to establish a healthy skin care regimen. With our care at Essentials Spa & Salon Metro West, your skin will feel amazing all the time! You deserve to feel your best and be your best. Having clear, clean and healthy skin is key to maintaining a confident personality and being able to tackle each day knowing that you looking and feel amazing. Fortunately for you, Orlando’s best luxury spa can help with that! Not only will you feel confident and clean, but receiving a facial treatment is also much more relaxing than routine skin care at home. Facials are a pampering experience, and you should enjoy your time during a facial as if you’re hanging out during a tropical vacation. Let’s face it – you’re worth it!